The EatPRATO festival, a haven for art lovers and foodies alike, takes over the historic city of Prato for three days: the main events will be held from the night of Thursday, June 7 to Sunday, June 10. With an ancient and walkable center surrounded by 14th century walls, the city is home to countless architectural and artistic wonders. The second largest city in Tuscany, just a few miles northwest of Florence is also renowned for its culinary delights. EatPRATO aims to combine a rich tradition of food and wine with artistic beauty in this year’s edition, opening up its three museums to the foodie world, and combining tastings with guided tours. Throughout the three days of the festival, Palazzo Pretorio, Centro Pecci, and the Textile Museum will all have discounted €1 entry. It is appropriate that the festival will open on Thursday, June 7 with a dinner in Prato’s Pecci Center for Contemporary Art (€61). This is preceded by a free wine tasting at the Pecci (6:30 pm), showcasing the vintages and the contemporary design of notable wine cellars found at a dozen of Tuscan estates, including Antinori. On same night, from 7 to 9 pm there will also be a unique “walking dinner” on the streets of Prato called “Cammina & Gusta” (€35). Starting on Friday, June 8, the city’s central Giardino Buonamici (park) will become a stage for celebrating Pratese wine, craft beers, and traditional foods and tastings. 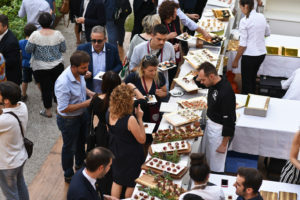 Other events branch out from here, with museums and the Terra di Prato Market also offering food samples, mini-classes and cooking demonstrations. While at the market, look for Prato’s illustrious mortadella, the Italian equivalent of American “bologna.” None of the preservatives added in America or other places can be found in Prato’s fresher variety of the meat — just local organic pork, blended seasonings, and a touch of alchermes liqueur. This delicious meat should be enjoyed at room temperature and can be accompanied by another local specialty, dried Carmignano figs. Parents and kids alike can relax and indulge both their eyes and palates, as there will be plentiful events throughout the festival designed for younger festival-goers. The FoodArt “food laboratory” (€5) allows kids to create culinary and visual masterpieces, while Giochiamoci Prato (€5) offers food-themed games. On Friday, the cooks of the Cicognini Boarding School will lead a lesson on the history of the Tuscan dish pappa al Pomodoro, with recipes and stories dating from the 1700s to the conception of fictional character Gian Burrasca’s beloved “Pappa col Pomodoro” from the popular Italian 1907 novel (free of charge). Saturday’s food and art-packed program opens with special breakfast offerings from Prato’s celebrated pasty shops from 7 – 11 am. Other events of the day include a hiking and tasting experience in the beautiful Val di Bisenzio (€10); a guided tour of the bread-themed works of Alessandro Allori in Palazzo Pretorio (€7); and tastings of prestigious Carmignano DOCG wines (€10). Known for the high caliber of its pastry chefs, Prato’s tempting sweets are spotlighted on Saturday, especially the classic Biscotti di Prato. This simple but heavenly confection can include almonds, pine nuts and Carmignano figs. “A taste of Pratese history,” a biscotti and Vinsanto tasting will take place at the oldest and most traditional of Prato’s famous biscottifici, Antonio Mattei (€5). The baking process becomes transparent at 8:30 pm in the free Biscotti di Prato live show. Right before this, there will be a free demonstration of the lesser known but equally delicious pesca di Prato — a custard-filled pastry with a sugar-crisped exterior that takes its name from its peach shape and color. Sunday morning opens at 10 am with a regal breakfast, inspired by the French court (€7). 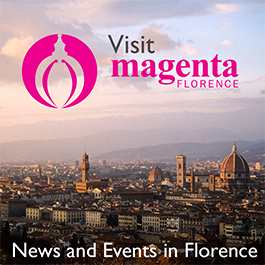 The experience will feature the work of master pastry chef, Luca Mannori, and a guided tour of the Marie Antoinette movie costume exhibition in Prato’s Textile Museum. A brunch in the Pecci Center at noon will have a more contemporary theme, with Pratese tapas, wines and sweets offered by the city’s finest chefs. Free of charge, visitors can experience the complex and awe-inspiring cake-creations of designer Francesco Bertini, another showcase of Prato desserts, and the presentation of a recipe book based on Medici still-lifes. The day finishes off with a tasting of Pinot Nero (€10).